Teachers - CASTLE HILL ART SOCIETY Inc.
Judy has lived in Castle Hill for 40 years. She studied with John Perkins, Alan Waite, John Wilson, Beth Burgess, and Leeka Gruzdeff. She started teaching art to children and adults at Castle Hill Art Society in 1985. She also taught adults for the Hills Shire Council Leisure Learning for 10 years as a volunteer. She is now teaching adults pastel, oil, watercolour, acrylic and drawing. Adult classes in acrylic, drawing and pastels. Children's classes. She did visual arts throughout her schooling life and she graduated with a band 6 for her major body of work. This further encouraged her passion. Mariana undertook some brief studies at the Art League in Houston, USA. In 2010 she stumbled upon the Watts Atelier of the Arts in San Diego, California. For a year she attended regular classes and it was here that her eyes were truly opened to the possibilities and the magic of studying in this field and for the first time she saw it as a serious career path. Now, back in Australia she is a student at the Julian Ashton Art School , where she continues to further her knowledge and practice of fine arts. She is a member of the Castle Hill Art Society where she also attends classes and workshops and where she has been working as a children's art teacher since 2013. First prize small painting award 2014 Agricultural Show. Marian is a Sydney based socio-political and environmental artist who works at the interface of art and technology. Her works are an exploration of these ever changing social and environmental mediums through printmaking, drawing, painting, mixed media, computer technologies and sound. ​She has exhibited and sold works locally and internationally, commissioned by Integral Energy, RTA & Sydney Water Board and represented Australia in the ‘Kangaroo Visit to Rome’ travelling exhibition in 2015. Adult classes in drawing and oil painting. Trained as High School Geography teacher. Retired in May 2007 after 17 years in a state high school. Completed an American correspondence Fine Art Painting Course from Famous Artists School as a hobby. Painted in acrylic from 1981 to 1987. Has been painting seriously in watercolour since 1988. (Sold about 250 paintings). 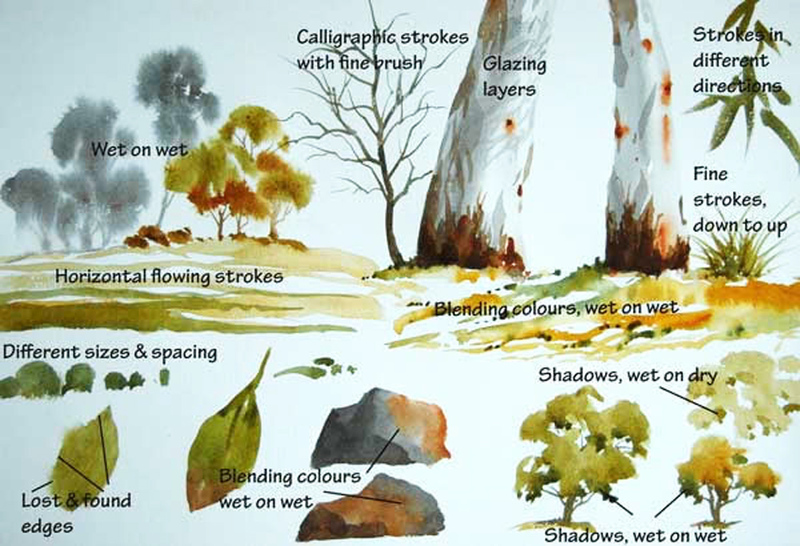 Has been demonstrating watercolour painting at 6 art societies around Sydney. Participated in group exhibitions at Windsor Attic Gallery 3 times. Represented by Dural Galleries from 1988, when it was Old Northern Gallery, to 2008. Held 3 solo exhibitions at a high school. Seldom participates in art competitions. Won various Art Society awards, including First Prize in Watercolour, Baulkham Hills Art Society 2004, Highly Commended awards many times. One painting published in Australian Artist Magazine. Having drawn for as long as I can remember, (one of my earliest memories being of trying to draw with a broken arm at age 3), I experienced my first art sale at age 15, when I sold 2 drawings in my school art show. Following this, I had the thrill of having my first ever painting chosen to be exhibited in the ArtExpress exhibition of HSC art in 1981, when it was hung in the Sydney Town Hall, then travelled the state. Whilst at University and during the following 7 or 8 years teaching in primary schools. I never lost my passion for drawing and the wonderful feeling of "losing myself" in a drawing, at this stage using pastel, a medium I still love. Once my children were at school I was able to attend classes and workshops held at various Art Societies, where I experienced oils, plein air and acrylics. It wasn't until my 30's that I discovered the magic of watercolour, which continues to fascinate me with its unpredictability and luminosity. Over the years I have sold acrylic, watercolour and pastel/mixed media works, and have recently developed an interest in portraiture. It is predominantly the play of light which fascinates me, and I like my works to exude a calmness & serenity. I began teaching children's art classes from my home, after requests from my children's teachers and friends, and began children's classes for Castle Hill Art Society in 2008. It is always a delight to see my students "losing themselves" in a drawing or painting in the same way that I do. In our fast-paced world I believe that it is so important to give our children the opportunity to experience "The Arts" in some form, with the relaxation & meditative benefits being a balance for the busyness of life, and enabling them to experience something that can bring them such enjoyment for their whole life. My interest in art began during an extended tour of galleries and sites of antiquity in Britain and Europe in 1985. 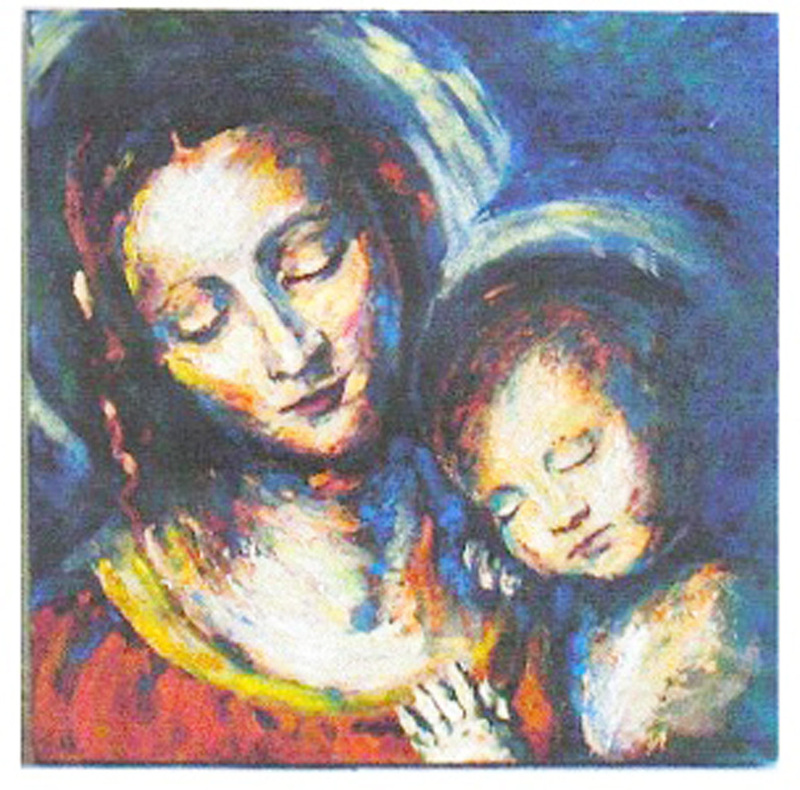 I began studying in 1986 and completed an Associate Diploma in Fine Art and a Certificate of Printmaking. Since graduation, I have been lecturing and teaching drawing, watercolour and mixed media. I regularly exhibit and sell my artwork. 1986-1991 - Associate Diploma of Fine Art, Certificate of Printmaking, Meadowbank College of T.A.F.E. 2000 - 2003 Regular Exhibitions in NSW: Hills Grammar School, Cootamundra Soroptimists, Dural Country Club, Castle Hill Art Society, etc. 1992-2008 Adults and children at Baulkham Hills Leisure Centre, Tara Girls High School, Castle Hill Art Society, Central Coast Art Society, Tuggerah Lakes Art Society, Northlakes Art Group, Kiama Art Society. Holiday Workshops Chatham Islands New Zealand. Central Coast Watercolour Society. Children's art classes for 7 to 16 year old students. Tuesdays 4pm to 5.30pm. Drawing and painting skills taught in a fun and friendly environment. I have been teaching for 17 years. Minimum materials required. Two exhibitions per year. Please contact me for more information. CASTLE HILL ART SOCIETY Inc.
© 2016 Castle Hill Art Society - All Rights Reserved. Website design and development by sfiCreative.